Mr. Cloes is a Belgian & California attorney who shares a passion for food and spices dating back to his childhood heritage from Africa and Belgium. His student and professional life took him to new local as well as ethnic food horizons in the Southern region and West Coast of the United States where he worked over 10 years as an international lawyer in Los Angeles. In a later professional chapter covering the following 10 years he held senior management positions in US. multinational companies in Europe where he rediscovered the many regional culinary traditions as well as the rich flavors of South East Asia and India during numerous travels. Former contributing editor of Gourmet Magazine and food writer for the International Herald Tribune legendary Naomi Barry is author of Paris a Table, Rome at Table, Food alla Florentine, Adorable Zucchini plus articles in major publications worldwide. She brings her immense knowledge of the food world gathered over 5 continents to assist CCN and its clients in concept creation & culinary engineering. Jean Remy Cloes, Spécialiste Tourisme d’Affaires & Incentives Après une carrière de 30 ans dans le tourisme d’affaires au sein de grands groupes (SUN, TUI, BCD), Jean-Rémy Cloes apporte sa considérable expérience acquise sur quatre continents pour développer votre clientèle et dynamiser vos relations avec les tours opérateurs, compagnies aériennes, et agences de Corporate Incentives & Events. 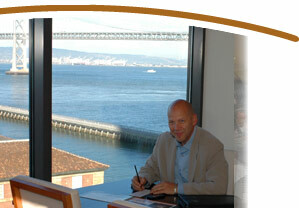 Nicolas Seronvalle is CCN’s exclusive representative in Spain and Portugal.